EXCLUSIVE! The perfect everyday bag to sling over your shoulder. The front features a subtle colorblock band of gray, pale blue, and green; the back is solid black. 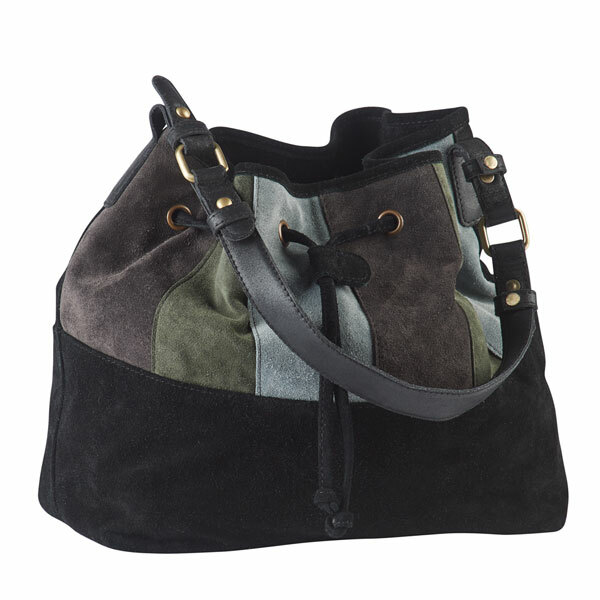 Soft, spacious bag has a cotton lining with one zip and two open pockets. The top closes with a drawstring and partial zipper. 20" strap is leather with decorative brass hardware. 11"w x 11"h x 5½"d. Imported.